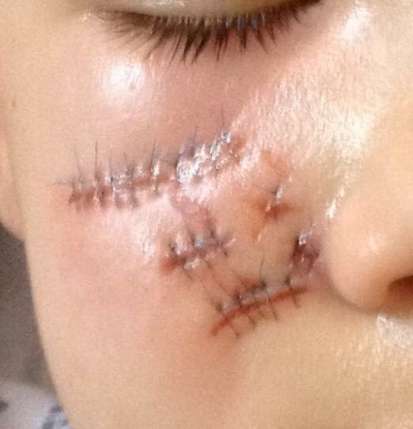 A young boy has been brutally attacked by a dog while attempting to take a selfie with it. 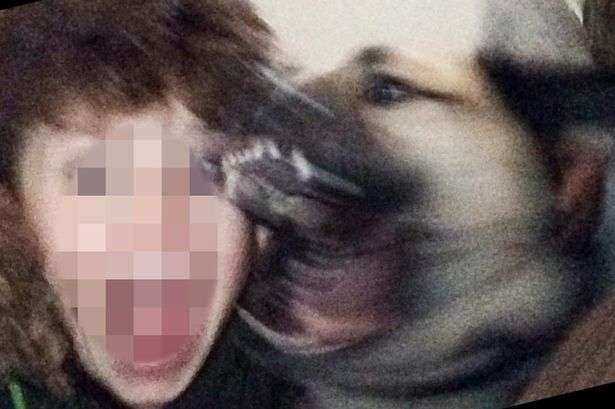 The 11-year-old-boy was captured on camera as the dog named, Digby, turned on him, sinking his teeth into his face. After the attack on the youngster who was left screaming in agony as the Husky, German Shepherd and Bullmastiff mix, bit into his face, the child was rushed to a nearby hospital, ending up 21 stitches and numerous follow-up trips. The dog is reported to have attacked another child on January 9, 2016, another reason for which a judge ordered that it be put down. A petition to overturn the ruling of the judge has reportedly attracted over 1,400 signatures as supporters claim that the animal had been provoked to its brutal reaction. "It has already been a traumatic experience for my son but now this has become public on the internet and social media, we are having to re-live this nightmare all over again. The dog was comfortable in the presence of my son as he had been invited over to the Harris house on many occasions. "Contradictory to some comments made, my son did not poke his phone in the dog's face, put his arm around him or put his face right into the dog's - it attacked without warning." The reports also reveals that the magistrates presiding over the case, have handed the owner of the dog, Harris, 200 hours of community work, as well as an order for the victim to be paid £5,000, and another £170 to the courts. Harris is reportedly appealing against the put down order for Digby, while working with a 21 days window to start up a case appealing to the magistrates.